Go Hollywood with your Wardrobe to Inspire a New Look! If you are one of the many who pick out your favorite three tees, wear, wash, and repeat, you may be in need of some inspiration for your wardrobe. When you finally do get a chance to shop for fresh apparel, don’t fall into the trap of choosing the same old colors and styles that are your default. Our advice is to get out and get inspired! We found inspiration by studying three classic movies from different genres to assemble a wardrobe of complete originality. 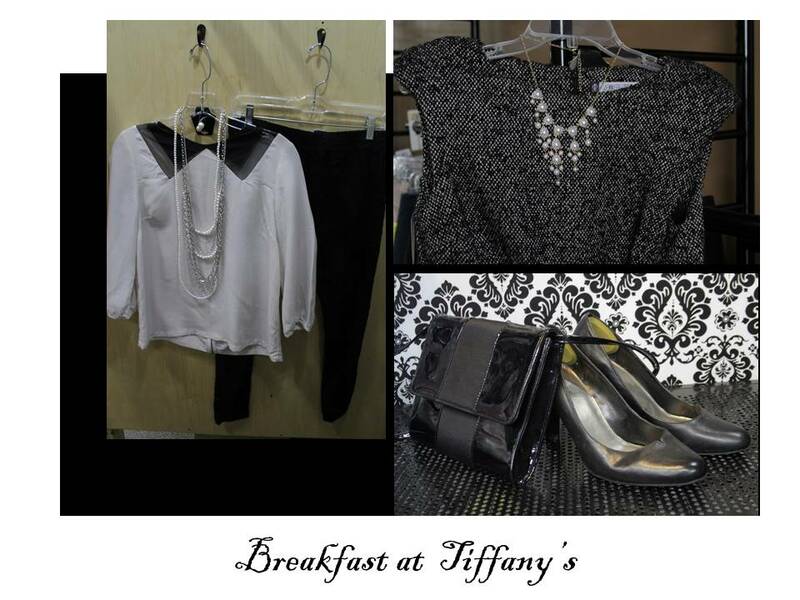 The Breakfast at Tiffany’s look is timelessly classic. When assembling an outfit inspired by this movie, here are the fundamentals to build your new posh style. Start off with a black or white base. Dress it up with a vintage pearl necklace to build on the desired look. Finish off the monochromatic look by selecting a black heel and textured black purse. When styling your hair and additional accessories keep it clean and use primary colors to accent. A bold red compliments this look perfectly. 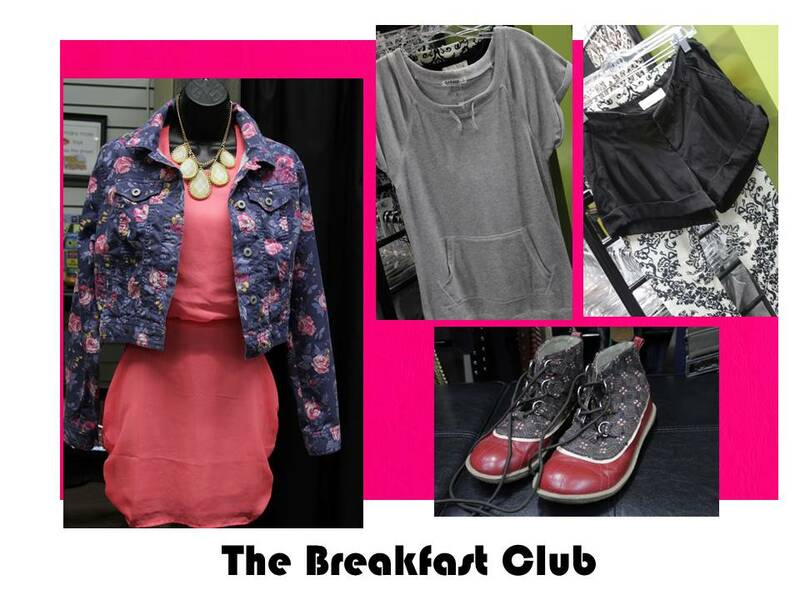 The Breakfast Club has some of the best and worst that 80’s fashion has to offer. Get inspired by this style by picking out some bold colors and patterns and letting them hang out together! Don’t be afraid to play with the scale of your pieces by wearing things that are larger in size or feature a bold graphic repeat. Layer patterned leggings and solid shorts to get a more edgy and unique look. The golden era played out in The Great Gatsby offers so much to please the eye and senses. Take your cues from texture, lace, fringe, and large florals. This look can be easily pulled off for weddings and social events, and when approached casually can be a hit for everyday comfort. Long statement necklaces help the eye move around the entire outfit as it introduces each texture and color subtly. Don’t leave out the shoes when building this look, as its another opportunity to introduce a pattern, color, or three dimensional element to keep the party going! 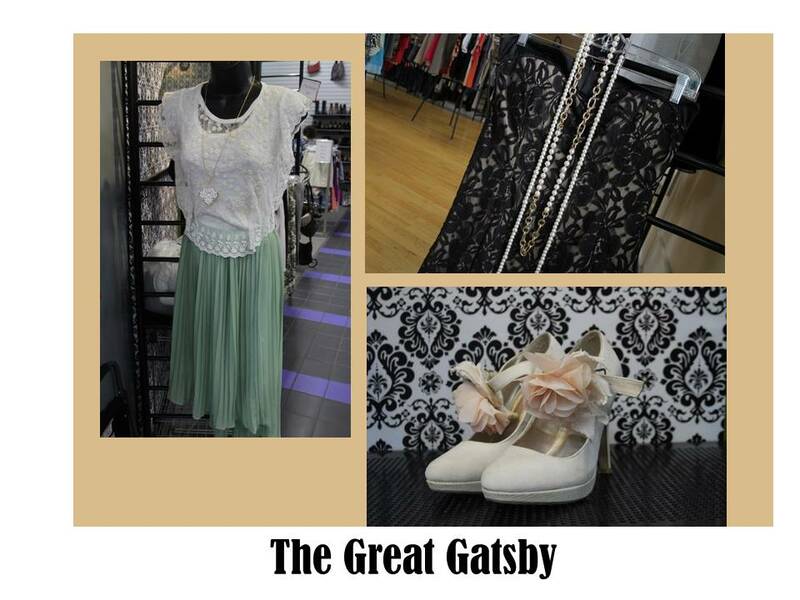 All of the clothes, jewelry, and shoes shown here are right off the rack at The Loft in Ames, Iowa. The possibilities are endless, so next time you find yourself watching a classic, take notes and bring them in to build your newly inspired, completely unique look that only The Loft can offer at such affordable prices. See you soon! This entry was posted in Uncategorized and tagged 2014, 20s style, 50s style, 80s style, Black and white, Breakfast at Tiffanys, classic, consignment, fashion, film, hollywood, inspiration, monochromatic, movies, pearl, the Loft. Bookmark the permalink. 2 Responses to Go Hollywood with your Wardrobe to Inspire a New Look!